Bayview first-graders lend a kind hand…600 times! 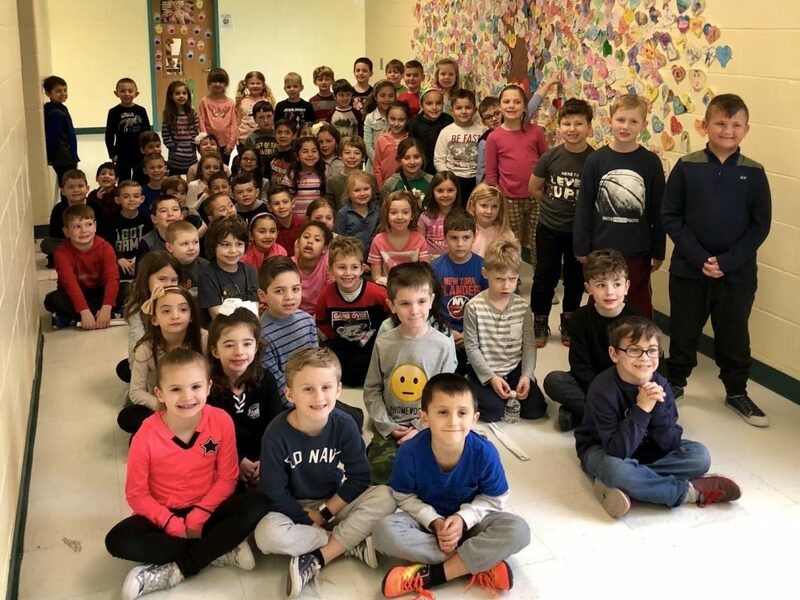 During the winter months, first-graders at West Islip’s Bayview Elementary School participated in a kindness initiative. A Kindness Tree was placed on the wall and was filled with hearts that students created, each heart representing a kind act. The students completed more than 600 acts of kindness in the classroom, at home and in the West Islip community. They donated food, clothes and toys to local charities; did chores at home; complimented other students; and reached out to peers who needed a friend. “Our students truly enjoyed lending a kind hand to those in need,” said Kimberly Spinella, one of the school’s first-grade teachers along with Patricia Chieffo, Deanna Johnson and Suzanne Sciarrino. IMG_6598: As part of a kindness initiative, first-graders at Bayview Elementary School completed over 600 acts of kindness in the classroom, at home and in the West Islip community.